In a moment, Ebenezer P. Sax sat again in his bed. Long had Ebenezer intoned that the destiny of jazz is to perish. The young paid it no mind. Those proclaimed its fans were aging, and as they passed so, too, would the music. Yet, this night a visit to Ebenezer was paid, twice, by winged and glowing Fairies. The first itself named The Magic Jazz Fairy of KC Jazz Past, and took the scribe to the music’s prime, when it filled Kansas City streets with carousing multitudes and gaiety supreme. 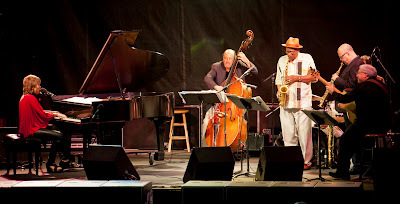 The second, The Magic Jazz Fairy of KC Jazz Present, presented Ebenzer an auditorium of over 1200 fans joyous in revelry for the music and, on the same night, jazz musicians of an age and a talent to rival any who came before. A nighttime visit by a third Fairy was promised. Presently, the clock chimed one, and a glow did fill the room. Ebenezer, but in nightgown and slippers dressed, sat upright in his bed. Beside him, a winged being spoke. Ebenezer stood and held forward his arm, ready for the Fairy’s grasp. “Proceed,” he offered. Man and Fairy, together, stepped through the wall of Ebenezer’s abode. On the other side, they stood in a jazz club. “I recognize this place not,” Ebenezer spoke, with caution. 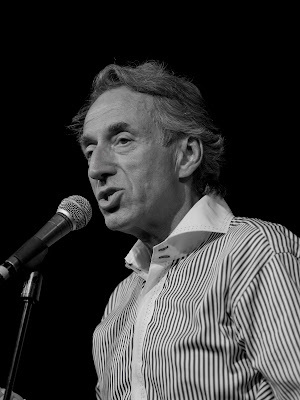 A grasp, a step, and presently they stood where the last Fairy also did take Ebenezer, in Hellzberg Hall in the Kuaffman Center for the Arts That Do Perform. The Kansas City Jazz Orchestra again did swing jazz from the stage. The hall, again, filled with the joy of a large, engaged and delighted crowd. The Fairy’s hand Ebenzer did hold, and next he knew he stood inside the Mutual Musicians Foundation. The lower level looked crowded with children, each carrying a musical instrument. “Mentors. You see students and mentors. That’s why jazz has lived in Kansas City an’ why it always will. The men, the women who created it, in this building, passed their knowledge on to your generation. 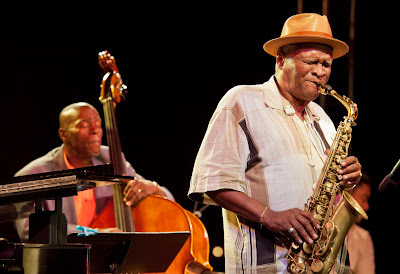 Musicians of your time, like Bobby Watson, grew the music an’ helped pass it along to others. 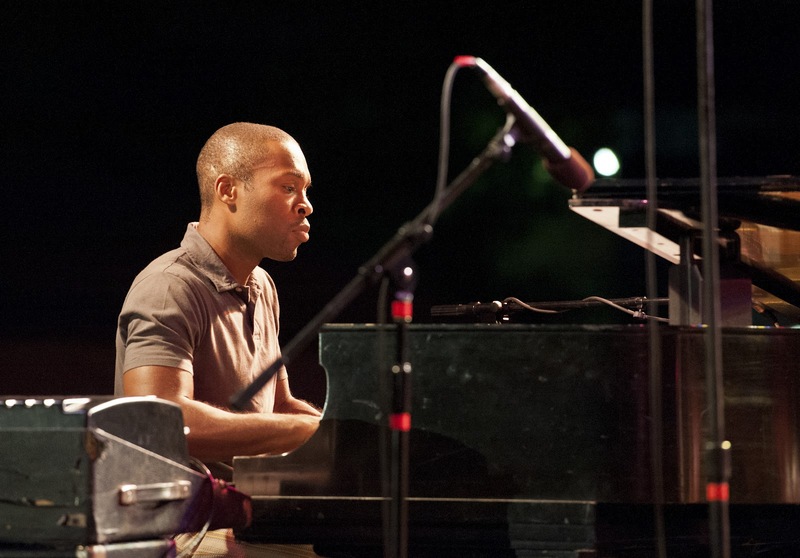 Others like Hermon and Ryan, who played it magnificently an’ again passed it along. It’s a culture of jazz. “Nobody’s pretendin’ the music’ll again be more than a niche,” the Fairy continued. “Nobody’s sayin’ most musicians don’t need other jobs to make ends meet. Hey, Jay McShann drove a garbage truck to raise his kids. But it’s a niche with appeal. It’s a niche that can fill a hall with people who can afford to discover an’ enjoy it. It’s a niche that can keep a few clubs thrivin’. Next he knew, the scribe sat alone in his bed. With haste, he threw the bedspread back, that he may scurry to his computer desk. Good, he thought, the computer was still on. Without delay, he typed. “The young care for it not,” he scowled, “so its fate I may foretell. Though blessed its audience may once have been, they now pass with the ages, and increasingly swift. Young musicians strike with hip-hop, with rap, and not with this genre now forsaken, its day of prominence passed. And with none to grow its art, its molding scores enjoyed by the withering few, its fate I declare sealed. Nay, not even as a niche may this music survive. With that final period typed, Ebenzer P. Sax set forth to the web his latest missive for all to absorb. Tired, he changed to his nightgown and slippers and laid in his bed. His eyes closed, he heard the clock strike one. Odd, he thought, since no clock in his house chimed. Did this he dream? Suddenly, a bright light lit the room, just aside his bed. He looked up, and there floated a winged being, aglow. A dream this must be! It was the tacos before bed, Ebenezer thought. Look now what they hath wrought. With that, did The Magic Jazz Fairy of KC Jazz Past take Ebenezer’s arm and pull him hard from his bed. Through the wall of his home they did pass. And on the other side they did stand at the corner of 18th and Vine in the year nineteen hundred and thirty two. “You know where you are?” queried the Fairy. “Yes, yes,” spoke Ebenezer, amazed. “I’ve read of this time in other blogs, especially the one that keeps spewing words to tell me I’m wrong. “But this scene before us,” Ebenezer did continue, “it but proves the points I make. “Just a minute,” said the Fairy. “I said step away,” spoke Ebenzer as now he took the Fairy’s arm and pulled. “Turn this corner and look. There! There stands the Cherry Blossom, as bustling and complete as in my time it sits as but a shell. Come closer. Be that Bennie Moten’s Orchestra inside? Does Lester Young sit in with them this night? Listen close! “Now look beyond, as people fill the street! ’Tis a crowd we see! They do party, they do enjoy themselves, they do enjoy the jazz! “And I thought I told you to step away from the gamblers. With that, Ebenzer did find himself again in his home, and in his bed. Straight up he sat. Then again, the clock struck one. Again, a winged being glowed next to his bed. “Why doth thou glow?” queried Ebenezer. The Fairy grabbed onto Ebenezer’s arm and pulled. Together, they passed through the wall of the abode. On the other side, Ebenezer found himself standing in Hellzberg Hall at the Kauffman Center for the Arts That Do Perform. Together, Fairy and man looked upon a full house. 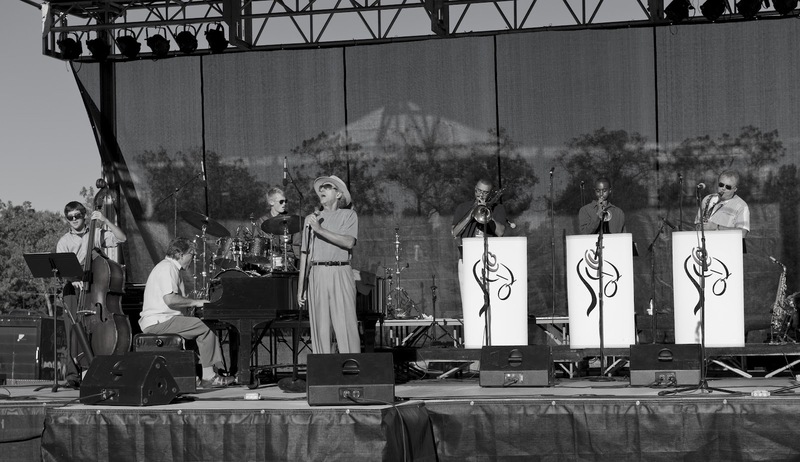 On stage, The Kansas City Jazz Orchestra did swing jazz. The crowd responded with extraordinary merriment and unrestrained applause. “It’s a crowd,” the Fairy answered, “of size and demographics comparable to The Kansas City Symphony. It’s a crowd that can afford a $100-a-couple night in a palace to the arts. It’s a crowd most arts groups would envy. The Fairy grabbed onto Ebenezer’s hand, and in a moment they stood in a coffee house in Kansas. On stage, Matt Chalk blew the saxophone and Hermon Merhari the trumpet. “Indeed,” the Magic Jazz Fairy of KC Jazz Present smiled. Next week, our story concludes. Not a week before Christmas, a friend came to me. “I need KC jazz! It must be on CD! Exceptional songs you know I'll want to hear. “You will not go wrong,” I said, “with Peregrination. 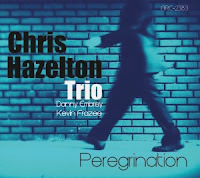 Chris Hazelton’s trio is a B3 sensation. Danny Embrey’s guitar he so perfectly strums. This trio: It swings, it thrills, it delights. With inventive piano, you will not go wrong. But solo piano to charm and beguile. It takes unique turns, it captures your ear. It’s Christmas songs played to hear all of the year. “Now, Passport will take you a different direction. World music / jazz masters: A fun intersection. And Stan Kessler’s trumpet, this music goes far. This music will take you on exotic flight. With songs first recorded in two thousand and two. Original music Bill composed and arranged. Count it as new and you’ll not be shortchanged. Of Meditations, an intimate feast. “That’s it! I’ll take all!” My friend did exclaim. “I’ll arouse my new girlfriend! She’ll revere my name! Don’t let my amazingly bad verse deter you from some amazingly good CDs. Peregrination can be purchased here. Keyboard Christmas can be purchased here. Passport, Duende and Meditations, Vol. 1 can be purchased here. It was eighty years ago this week. 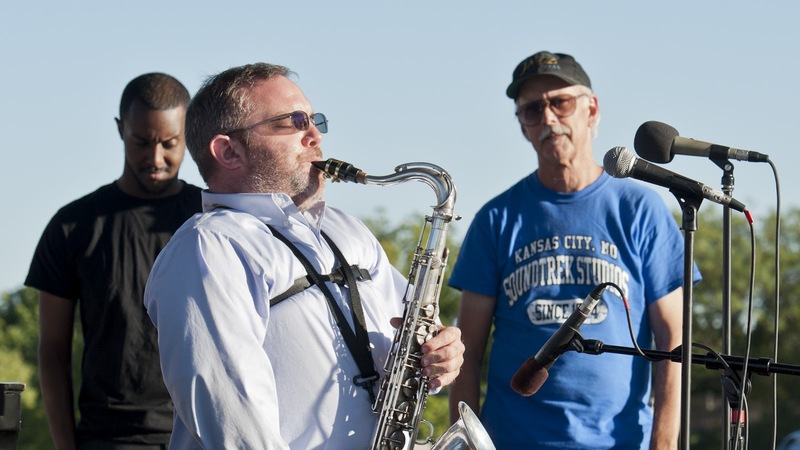 “Bennie Moten had the best band [in Kansas City]…. That’s when he had Eddie Durham and Barefield…. “Of all the arrangements I did for Bennie Moten, Moten Swing was the biggest. “We were at the Pearl Theater in Philadelphia when the owner, Sam Steiffel, complained about us doing the same things over and over again. ‘You’ve got to get something else,’ he said, but we didn’t have anything else. When Bennie said we’d got to have a new number, I asked him to let me lay off one show to get it together for him. “I went downstairs and Basie came with me. He was often my co-writer…. This time he gave me the channel. Horace Henderson was there and saw me write it, in pencil. We took it upstairs and the band went over it once, and then played it on the next show. Now forward to December, 1932. 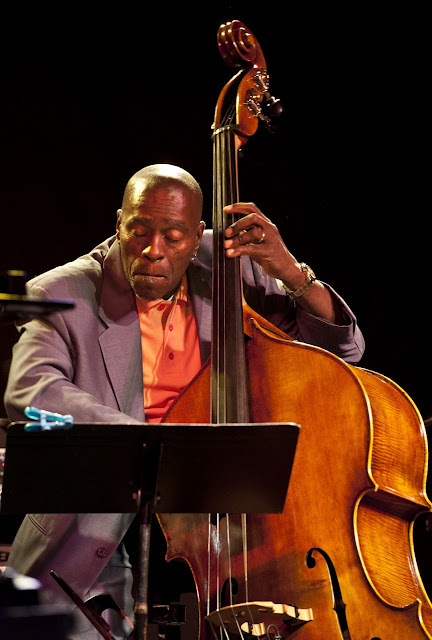 “We played in Kansas City and down in Oklahoma…then Moten decided to go east once more. He was established, but it was a hazardous trip…. “It was quite a band we had, with Lips [Page], Dee [Stewart] and Joe Keyes on trumpet; Eddie Durham and Dan Minor on trombone; Jack Washington, Ben Webster and myself on saxophones; [Count] Basie and Walter Page in the rhythm section, with Leroy Berry on guitar and Pete McWashington on drums; and Jimmy Rushing as vocalist. Bennie Moten played piano, too, but Basie played most of the time and Buster Moten conducted. “We were stranded in nearly every city on our way to New York – in Columbus, Ohio, in Zaneville, Ohio, and in Cincinnati…. We were all young...and we didn’t care. We just hung around the town until they got another raggedy bus. “And those busses were always breaking down. One time in Virginia we were coming down one of those steep hills and the brakes refused to work. The handbrake came out in the driver’s hand, and the bus went careening down through a town at about sixty miles an hour. We were frightened to death and we were lucky we didn’t run into anybody. “Being stranded meant that you were in a town without work or money. You had to eat and sleep, but you couldn’t get out. Bennie might hustle up enough to get us a meal ticket. We would eat anything. Mostly it was hot dogs and chili, with booze. We weren’t alarmed, because it was a common thing…. “Finally, somehow, we got to the Pearl Theater in Philadelphia. We knew we were going to work for a week and get a week’s salary, so everybody could have some money in his pocket. We were all whooping it up, juicing and taking chorus girls out. “When payday came, we all lined up to get our money. When I saw Bennie send a guy out to get a plate of beans and some whiskey, I felt something was wrong. Then he told us that the bus and the box office receipts had been attached to pay for uniforms he’d bought on his previous engagement at the theater, when he’d borrowed money from Mr. Steiffel, the theater owner. So there we were, standing out in front of the theater with our bags and horns – and no bus. The man had booked us for a whole week only to get his money back. Now we couldn’t pay our rent, our tabs, or anything. “But Bennie finally met a little, fat colored guy named Archie Robinson, who was an agent, and they went off together in Archie’s car. They came back with a great big old raggedy bus, and we all piled in to go to Camden to record for Victor, something they’d cooked up at the last minute. “Now, we were all very hungry, but somewhere or other Archie found a rabbit. We pulled off the highway to a pool hall, where they made a big tub of stew with this one rabbit…. It tasted very good. We stood around the pool table sopping up the gravy and stuff with bread until the tub was empty…. “Then we got in the bus again and went over to the church they used as a studio…. Most of these sides, recorded by Bennie Moten’s Kansas City Orchestra on Tuesday, December 13, 1932, are still recognized as some of the greatest recordings in jazz history. “We never got paid for them to this day…. I don’t know whether Moten originally got money. We were just young, stupid kids at the time. “The way we played on those records, with those fast tempos, was the way we used to play every night. We didn’t have any music, but we sure used to swing…. Quotes by Eddie Durham and Eddie Barefield are from The World of Count Basie by Stanley Dance, Da Capo Press, 1980. Quotes from Buck Clayton and Booker Washington are from Goin’ to Kansas City by Nathan W. Pearson, Jr., University of Illinois Press, 1987. “Behind the scenes at the annual Christmas lights extravaganza on the Country Club Plaza, Harvest Productions Inc. pulled the strings for the third year in a row…. “[Harvest’s vice president] said the company has tried to enliven the Thanksgiving night Plaza lights festivities by incorporating more local entertainers…. The Plaza lighting ceremony eliminated jazz! The sky is falling! Okay, that last paragraph was a liberally interpreted paraphrase. 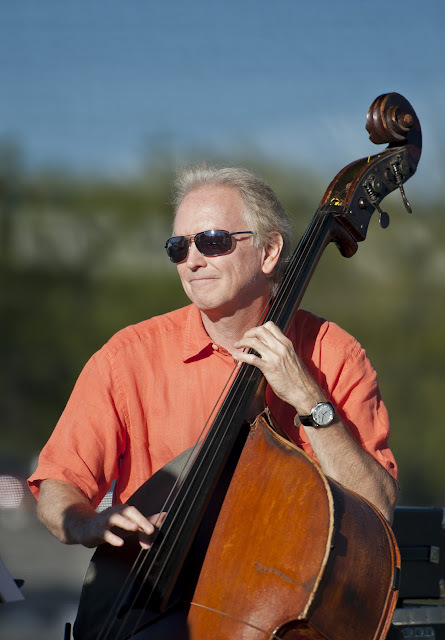 Kerry Strayer, today Artistic Director of the outstanding Kansas City Jazz Orchestra, served as Music Director of the Plaza lighting ceremony for 14 years (from his bio, here). He even offers a CD of music from those years, Christmas in Kansas City: Music From the Plaza Lighting Ceremony (available here). I’ll bet Kerry wishes he still had that gig. But after 14 years, Plaza officials decided it was time to freshen the ceremony. They brought in a new producer and new bands. That happens with successful businesses. 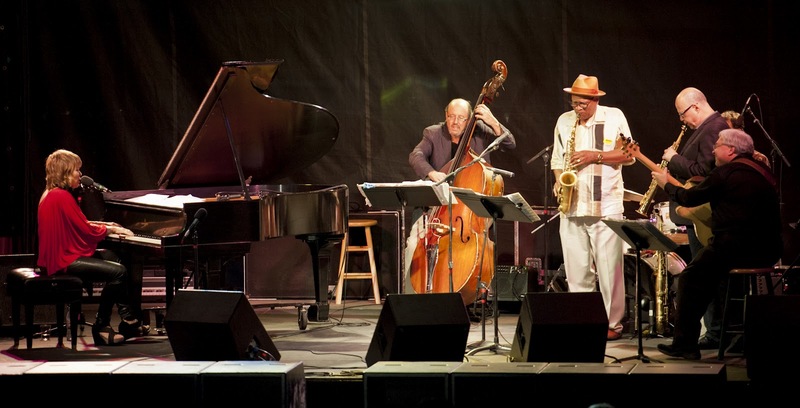 Jazz losing one prominent party a year does not epitomize anything. After all, I’ll bet after a reasonable break the ceremony features a jazz group again. The year they do, will anyone declare that epitomizes pop music’s decline? Friday’s Kansas City Star Business pages noted downtown’s new Kill Devil Club has been recognized nationally on a list of The 21 Hottest Cocktail Bars Across the U.S.: Where to Drink Right Now. It was honored for its mix of live jazz and cocktails. 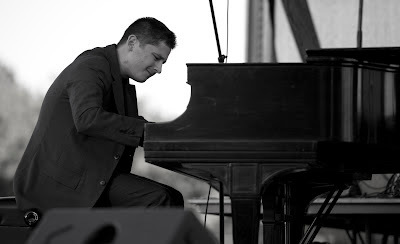 A glance at their December schedule (here) reveals a slate of mostly more traditional and hard swinging jazz sounds: David Basse, Grand Marquis and Bram Wijanads, to name a few. A club’s success is all about creating an environment people enjoy, where they feel comfortable, a place they will want to return to. In this case, it’s achieved through a mix of superb cocktails, an expansive downtown view and swinging music. But wait a minute. I thought other internet sites and musicians were sounding a death knell for swinging jazz. Can’t survive. Too old-timey. Only old farts go hear it, and pretty soon they’ll all be dead. Yet, The Kill Devil Club is building buzz. People are checking it out. Rum and hot jazz are working. Somebody didn’t get the memo. I’ve already noted, through the Magic Jazz Fairy’s eyes, the year that has passed since Jardine’s demise (here). Kansas City’s jazz scene today may be no better than it was then, but it’s no worse off, either. Yet, it is different. Each jazz spot, like The Kill Devil Club, builds its own identity and finds its own favorite groups which tend to return more often than others. In Kansas City, you can no longer hear Ida McBeth every other Friday. There’s no more last Wednesday every month with Megan Birdsall, or a monthly late night with Shay Estes and Mark Lowrey. You can’t find Sons of Brazils twice most months anymore. Take Five in Leawood continues booking a broad range of jazz. The Kill Devil Club seems to be finding the acts which work best for it. Musicians may find no fewer opportunities in Kansas City’s jazz scene today, but the opportunities are evolving. Just as they have for 90 years. I grew up in a Jewish household, without a particular appreciation for Christmas music. Out of more than 47 days worth of media in my iTunes library, only an hour and a half of it is Christmas songs (some Ella, some Diana Krall, Vince Guaraldi’s Charlie Brown Christmas and, of course, Bird’s White Christmas). So when I received Michael Pagán’s Keyboard Christmas, I expected piano solos on songs I’ve heard and mostly ignored a thousand times in my life. My expectations couldn’t have been more misplaced. This is a CD of piano superiority, inventive riffs and engagingly fresh interpretations of a dozen songs which you just happen to run into during December more often than during other months of the year. Take the opening number, God Rest Ye Merry Gentlemen, which boldly states the theme then creatively circles around it, delightfully weaving it in and out. Or the thoroughly swinging version of It Came Upon a Midnight Clear. Contrast that with the somber but no less irresistibley imagined Good King Wenceslas. All total solo piano fun worth hearing, and during more than one month of the year. 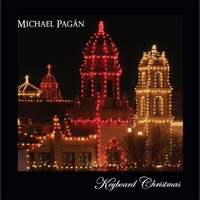 Michael Pagaán’s Keyboard Christmas can be downloaded from iTunes here or purchased from CD Baby here. If you’re grumpy right now and want to stay that way, or if you’re mad at someone and not ready to get over it, or if you just don’t want to feel good at this moment, be advised: The first selection below is some of the funnest music you'll ever hear. Last week I posted four tunes from the 1985 18th and Vine Heritage Festival (here). It was a street festival which ran through most of the 1980s and into the 1990s, before the district was rebuilt. The main stage stood on what was then a grassy lot at 18th and The Paseo. Another stage was erected in a grassy lot at 18th and Woodland, across from the Kansas City Call building, right about where Friends of Alvin Ailey office today. In between, 18th Street was closed and, for a September weekend, home to street vendors. 1985’s headline act starred Jay McShann on piano, Buddy Tate on tenor sax and clarinet, Al Grey on trombone, Milt Hinton on bass and Gus Johnson on drums. Below are four more numbers from that remarkable group. The recordings are far from perfect. They were recorded by an audience member sitting in the grassy field. You’ll hear voices and ambient noise. But unless you were at the festival, this is Kansas City jazz you’ve never heard. Even if you were there, odds are you haven’t heard this music since. And especially after you listen to the first song below, an eleven-plus minute version of All of Me, I doubt ambient noise is going to matter. Not unless you’re bothered through the big smile you’re going to have on your face. So have some fun and listen. A couple weeks ago, to make a point, I posted live recordings of Jay McShann which you’ve never heard unless you were at the 1986 Kansas City Jazz Festival. This time, let’s go back a year earlier. Jay McShann also led the group which headlined the 1985 18th and Vine Heritage Festival, a street festival started in 1983 in the not-yet-redeveloped historic jazz district. The main stage stood on a grassy field where you’d once find the Street Hotel and today will find a sports bar. This group stars Jay on piano, Buddy Tate on tenor sax and clarinet, Al Grey on trombone, Milt Hinton on bass and Gus Johnson on drums. These recordings are far from perfect. They were captured with a recorder from an audience member sitting on that grassy field. You can hear voices and ambient noise. You can also hear some terrific Kansas City style jazz. We’ll take this in two parts. Below are four selections totaling a little over a half hour. Next week, four more selections totaling a little under a half hour of music. The first year, it snowed the day before. I worked the box office at the event, as a volunteer. People called to see if the festival was still on, before venturing out of their home. That was not a good way to build an audience. 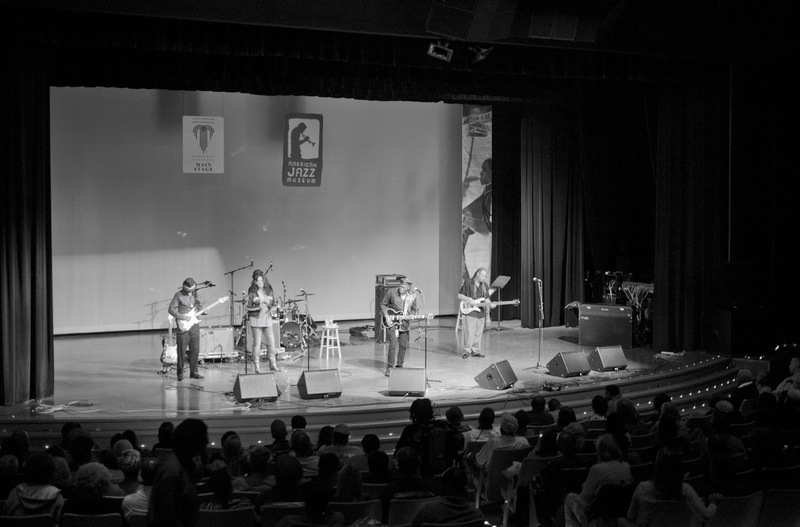 Johnson County Community College (JCCC) staged its first Jazz Winterlude in January, 2010. 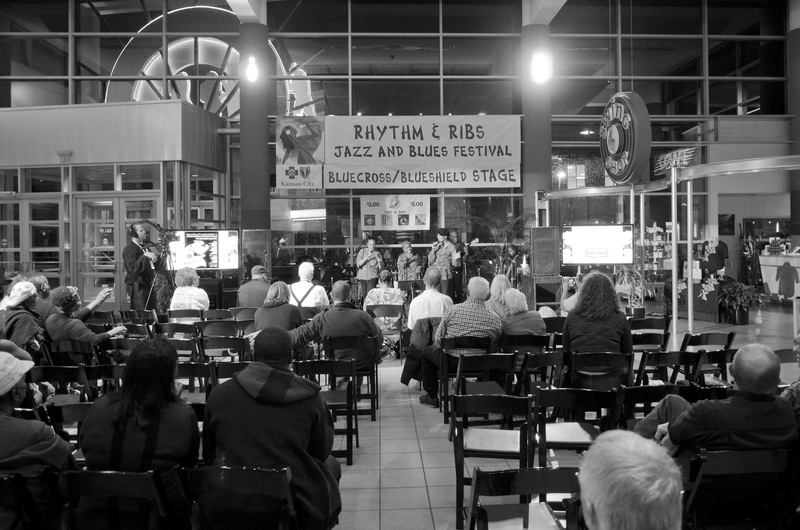 While the schedules have been filled with some of the best local jazz, tickets priced at $25 and up, more than snow, may have kept interested audiences from growing into jazz crowds. JCCC’s Yardley Hall is one of this region’s most acoustically magnificent spaces. The opportunity to hear Deborah Brown’s vocals and Eldar’s piano in there is an exciting one. These are dates to set aside now. Is gliding the word I’m looking for? Maybe soaring? In some songs, it’s both. Tangos Flamenco for example. Stan glides over Beau’s intricate rhythms before taking off and soaring with excitement. Here’s two masters of their instruments playing world music with intricacy and exhilaration. And fun. I've photographed guitarist Beau Bledsoe with his extraordinary Turkish jazz group Alaturka (here). They play Saturday’s Winterlude date. Trumpeter Stan Kessler performs with more groups than I can count, the best known being Sons of Brazil. I photographed them here. 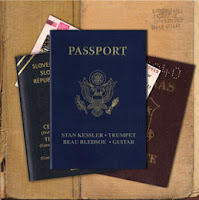 Together, Beau and Stan have formed the group duo Passport, playing music with a world bent. Is it Latin? Cuban? Spanish? South American? I suppose all of the above. Passport has released its first, self-titled CD. Beau lays down rhythms on guitar and oud mesmerizing yet complex. Some tunes are familiar, such as Ave Maria, where Stan’s perfect tone overlays feelings of beautiful melancholy. Meanwhile, Que Nadie Sepa Mi Sufrir bounces with playfulness. The interaction between the two musicians on Choro Por Ze draws you in with a broad smile. Is it jazz? Is it world music? Yes. But mostly – no, entirely – it’s wonderful music. Passport can be purchased here. 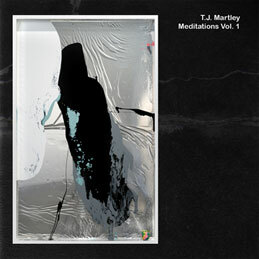 And he’s now released an album of jazz meditations titled, not surprisingly, Meditations, Vol. 1. This CD of piano solos is an album of trains of thought, musical impressions of the moment. Sometimes obtuse like Monk, consistently engaging, a close listen pulls you into the music’s appealing twists and complexity. Meditations, Vol. 1 can be downloaded from iTunes here or purchased on CD here. Poor people of the year 2042. Apparently, they will not swing. In an engaging post a week ago (here), our friend Plastic Sax posits that jazz in 2012 falls into three categories. One of those three is swing, and that, he speculates, will dwindle to insignificance when those of us born prior to 1960 (I date to 1957) kick the bucket. Figuring we should be dust in another thirty years, then all vestiges of anyone who lived when music swung will have cleared the earth so hip hop and its descendants can rule the musical world. Of course, by that reasoning, the Beatles, too, will be forgotten. And The Rolling Stones. And Bob Dylan. And Englebert Humperdink. Okay, maybe some good will come of this. Plastic’s post is about musicians taking jazz in new directions. That there will always be, and thank goodness. Because I’m as big a fan of the People’s Liberation Big Band of Greater Kansas City (PLBB) as I am of The Kansas City Jazz Orchestra (KCJO). The two are polar opposites when discerning the sounds of big band jazz. Like Mingus and Basie. Yet both find an audience in Kansas City. That’s because both play music that’s accessible, albeit through different means. KCJO swings a sound that may make your body sway in its seat. PLBB peppers music some could find obscure with wit that draws a crowd in and invites you to listen and understand. Because while it’s easy to focus on what musicians want to play, the coin’s other side is what audiences want to hear. I’ve written before about finding some of the music of KC’s younger jazz generation overly off-putting and inaccessible. I suspect some of that comes from youthful experimentation and striving for a unique voice. If that voice finds its audience, terrific. But if audiences do not accept it, opportunities to perform it publicly will pass. 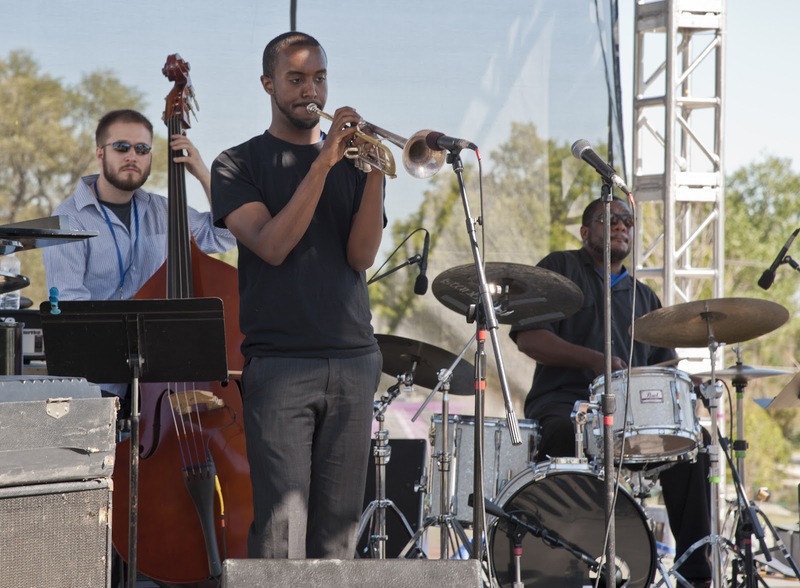 A perfect example of an exemplary young group understanding their audience was Diverse at this year’s Prairie Village Jazz Festival. I’ve heard Diverse play tunes which would be appreciated mostly by the jazz literati. But their set this day was dominated by music recognizable to a suburban crowd. 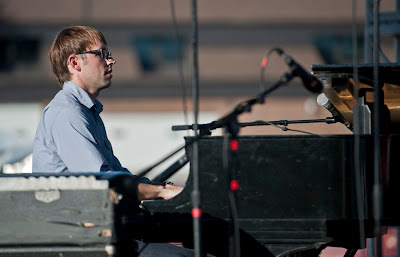 It was performed in Hermon Mehari, Ben Leifer and Brad Williams’ unique style. Nothing was artistically compromised. And the audience loved it. The audience heard the wisdom of an emerging maturity. There’s why traditional jazz will survive. The music is too accessible not to survive. Audiences, some audiences, will want it. So musicians, some musicians, will play it. It’s in our bones. We react to it naturally. There’s why people of the year 2042 actually will swing. I’m not so naive as to believe this music will ever again dominate the culture. Jazz and swing will survive as a niche. 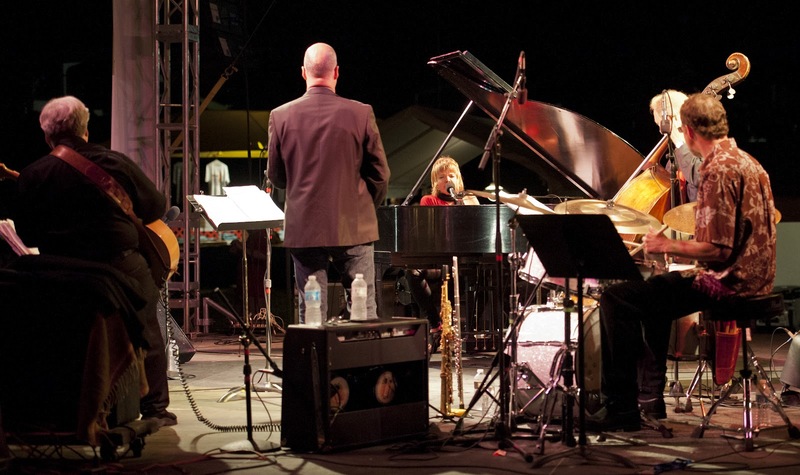 Some jazz and jazz musicians will try to merge and absorb contemporary music styles. Miles did it. Others try today. The more accessible of those attempts will stick and through that experimentation, the music will grow. But in this world breaking down into increasingly tighter niches, swing will survive. Not through nostalgia, but through its overwhelming accessibility. An exceptionally busy week at week at work and home ended without time to pen a post. So, I’m taking a week off from putting up a new blog. Thoughts on Kansas City and jazz return, I hope, next week. All that turmoil, that was nearly a year ago, it mused. Surely, everybody knew then, jazz in Kansas City would never survive all that. But look at the venues today. Sure, the scene isn’t perfect. The scene will never again be what it once was, decades back. But a year ago, who expected this? A broad smile crossed its face, and it let its wings flap lightly. Jazz in Kansas City certainly survived the turmoil. It was the week after Thanksgiving last year that musicians boycotted Jardine’s, seeing enough transgressions by its owner. A Kansas City jazz fixture for nearly two decades, Jardine’s closed and, despite feeble stabs at a couple of parties and New Year’s Eve, thirty-some jazz performances a month disappeared from Kansas City. Remembering, the Magic Jazz Fairy shuddered. Because the situation then grew worse. 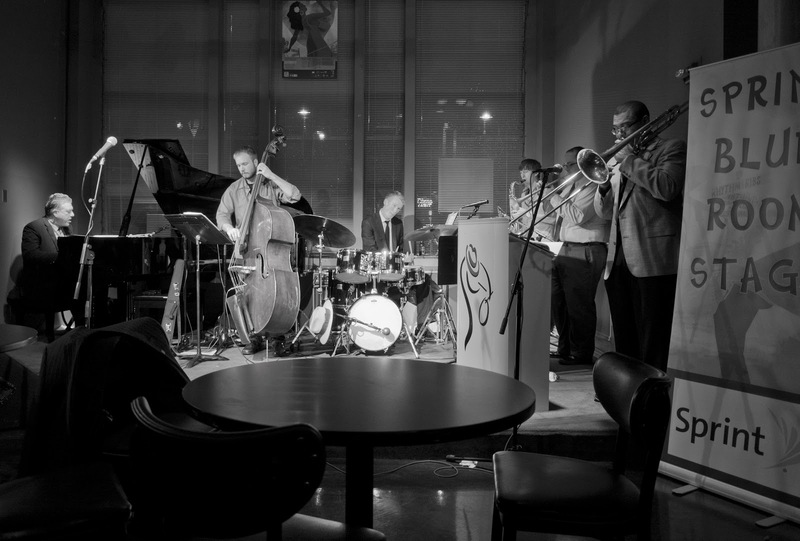 Another jazz club tried opening in the Crossroads district. With inadequate promotional support and schedules unavailable online until it was too late, this venue ran through its cash and locked its doors before the year’s end. Two jazz clubs, one a two decade old institution, closed in Kansas City. What could a Magic Jazz Fairy do? Because, as we’ve established before, every city has its Magic Jazz Fairy. The Magic Jazz Fairy flies through town and whispers in the ears of every sleeping fan where jazz performances are happening, so we wake up knowing, just knowing. Because small jazz audiences could not possibly be the fault of savvy club owners who fail to promote. Clearly, those savvy operators don’t promote because they know Magic Jazz Fairies will spread the word. But what if there’s little word to spread? Forlorn, our Magic Jazz Fairy heard whispers of a coffee shop in Leawood, on 151st Street, booking jazz. A coffee shop? In that suburban a location? Is that what Kansas City’s jazz scene had come to? Cappuccino and jazz among the hoity-toity? Still, it felt obliged to check the venue out, to see what was going on. And before the Toronto Fairy called, because that Toronto Magic Jazz Fairy could be especially snide. The Magic Jazz Fairy flew south, landed, then wrapped its wings tight, so it could step inside the venue unnoticed. “Coffee and Bar,” the sign read. That was encouraging. Inside it found a warm, welcoming atmosphere, and excellent acoustics, and patrons who listened – they listened! – and owners who loved the music and cared. It realized there was nothing wrong with coming here for jazz. They were booking the music several nights a week, and they were promoting it on their web site. This was terrific. The Blue Room reigned at 18th and Vine. Slowly, The Majestic started booking more nights in its jazz club. And add this new jazz spot in the suburbs. It wasn’t Jardine’s, but jazz, real jazz, was live in the metropolitan area. Then, a month ago, to the Magic Jazz Fairy’s amazement, another jazz club opened. This one sits downtown, in the Power and Light District. It’s still working the kinks out of its operation, and the weeknight music is probably on too late for working Kansas Citians. 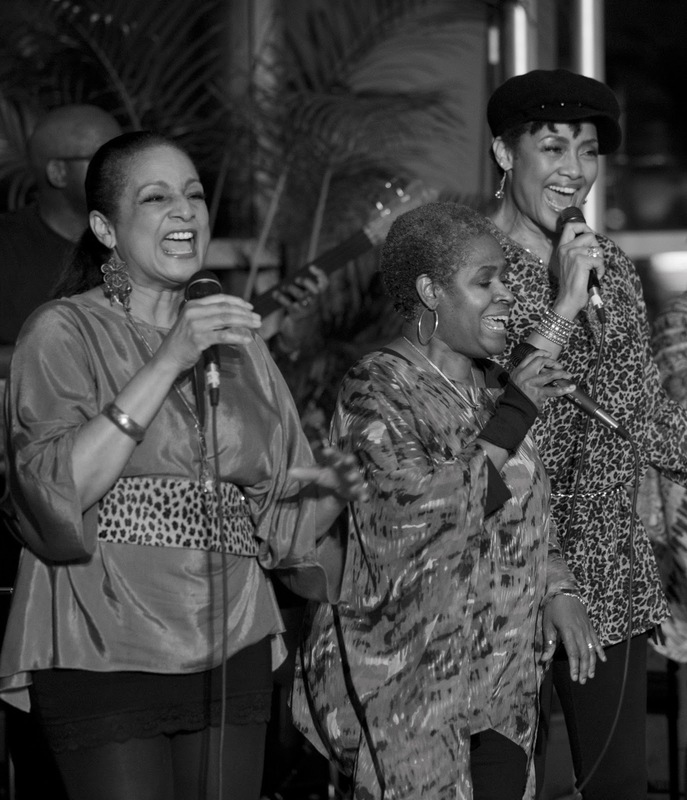 But Wednesday through Saturday nights, it’s showcasing live jazz. Schedules are listed on its website. It’s active on Facebook. It has a billboard on I-35. It’s a jazz club promoting rum and jazz. The Magic Jazz Fairy leaned back in its chair, its stubby legs outstretched with pride. All those jazz nights lost after Thanksgiving last year? They’re back. Some are downtown, some are in the suburbs, but they’re back. The mystical being now leaned forward, to its computer, and it clicked on a link. There’s the schedule for The Blue Room, oddly not on the page where it used to be, but clearly linked from the American Jazz Museum’s home page. It clicked another link. There’s The Majestic’s schedule. Not complete, not listing musicians’ names every night, but it’s there. It clicked a new link. There was the schedule for the suburban locale, already listing dates through mid-November. One more link. There’s the new downtown club, its schedule online for a month out. Not only is Kansas City hosting all the jazz nights of a year ago, the Magic Jazz Fairy found, but they’re all promoted online. The Magic Jazz Fairy sat at its desk, fat and happy. It was ready to take the St. Louis Fairy’s, or the Chicago Fairy’s, or the Toronto Fairy’s call. It reminded me of a festival in the mid-80s. Was it 1984, ’85, or ’86? The 18th and Vine Festival was staged in the historic district each September back then. 18th Street was closed between The Paseo and Woodland. A stage was erected at the northeast corner of 18th and The Paseo, another at the northwest corner of 18th and Woodland – both corners then were grassy lots – and the location of a third stage changed from year to year. Vendors lined 18th Street. The Mutual Musicians Foundation was open all day and filled with music, too. But that year it rained, and the outdoor performances were cancelled. One I was looking forward to was Eddie “Lockjaw” Davis and Harry “Sweets” Edison. That night, “Lockjaw” and “Sweets” relocated to a club then at the corner of 18th and Vine, Eblon, where Danny’s Big Easy sits today. They set up in the corner, right about where a band was playing in Danny’s last Saturday night. And there, backed by Rich Hill’s trio in a noisy club, maybe a hundred of us heard “Lockjaw” and “Sweets” perform some fantastic jazz. At an outdoor festival, you can control everything but the weather. If you stage a festival enough years, you will be rained out. I know. 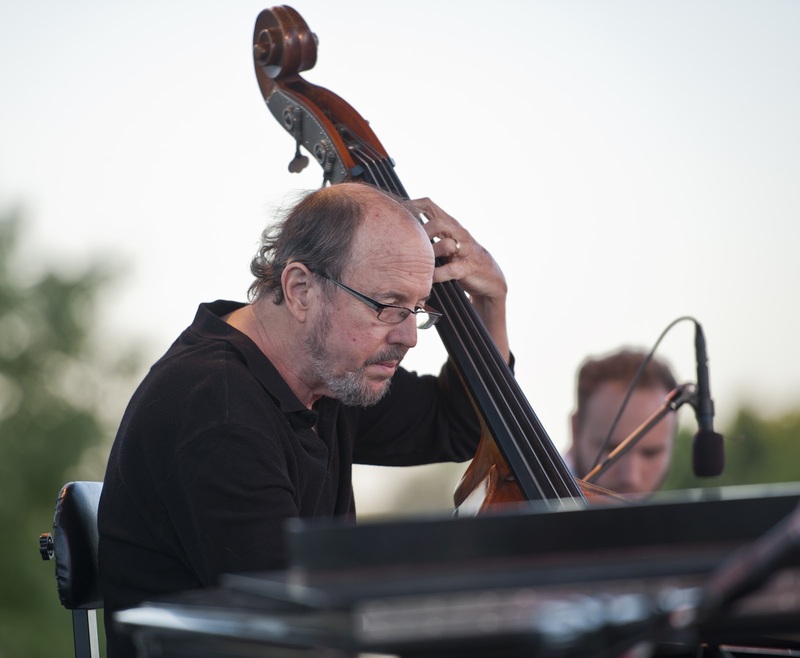 I was president of the Kansas City Jazz Festival in 1989 when a performance by The Pat Metheny Group – arguably the biggest name of that festival’s Volker Park years – succumbed to a storm. Last year’s Prairie Village Jazz Festival staged two acts before a storm blew in, damaged equipment, and forced the cancellation of the rest of the day’s schedule. Last Saturday, rain curtailed the 2013 Rhythm and Ribs Festival in the 18th and Vine Historic District. Acts scheduled for The Blue Room and the museum’s atrium went on. But, like “Lockjaw” and “Sweets” in the ’80s, the big names were moved indoors, this time into The Gem Theater. Even with extra chairs and people packing the aisles, The Gem accommodated maybe 600 fans. And with the daylong rain, that was enough. A festival which last year drew a crowd of, by my estimate, perhaps 7000 people, this year counted an audience in the hundreds. Give the staff of the American Jazz Museum credit. They made the best of a bad situation. Apparently, food vendors (and the ribs) went home. But the organizers staged some outstanding music for those of us who came. I shot a few photos. Take a look. As always, clicking on one should open a larger version of it. 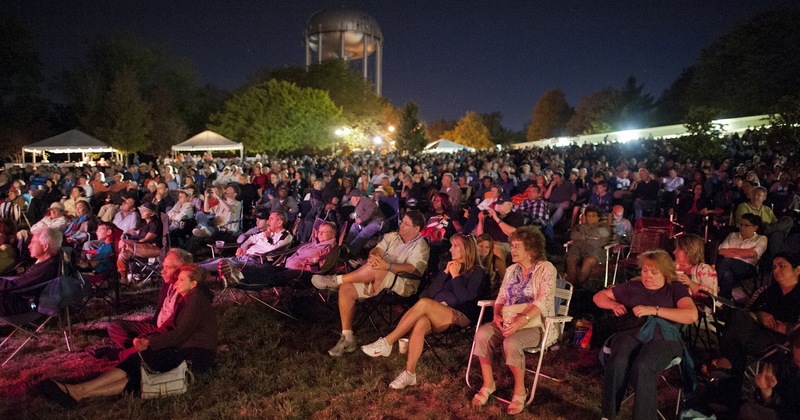 Two performances at the Prairie Village Jazz Festival won a standing ovation: Bobby Watson and Megan Birdsall. That brings you current. Now, start four months back. She looked anguished as we talked, standing outside The Blue Room. Suddenly, her legs buckled and she nearly fell, grabbing the arm of the musician next to her. She scurried to a nearby car for medication. The pain caused all that, she told me later. This summer, doctors found acute infection on Megan Birdsall’s prosthetic jaw. Surgery was required to take out four plates implanted with the jaw but no longer necessary. On August 7th, in Dallas, the plates were successfully removed. Doctors then advised surgery to replace the entire prosthetic jaw, as soon as possible. I wrote about Megan a year ago (here), this sprite with a spectacular voice. I first heard her with a big band. On stage, I saw a smile that seemed to fill half her face. 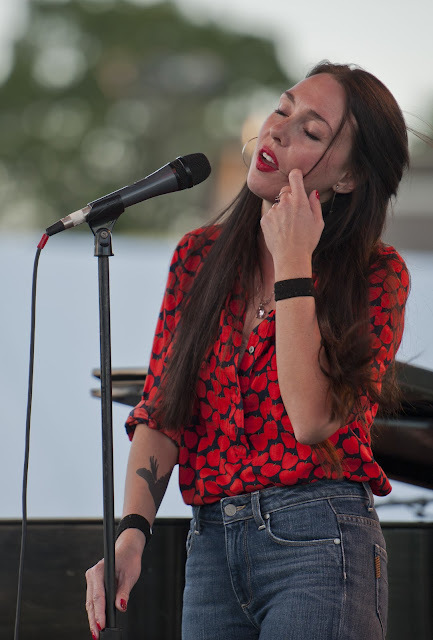 Then, amazingly, I heard a singer equal to any in jazz. With her uptempo version of Miss Otis Regrets, the packed club exploded in applause. Afterwards, I discovered her story. Cartilage in Megan’s jaw had deteriorated and a shifting facial structure was crushing her windpipe. An operation replaced her jaw with a prosthetic jaw to save her life. 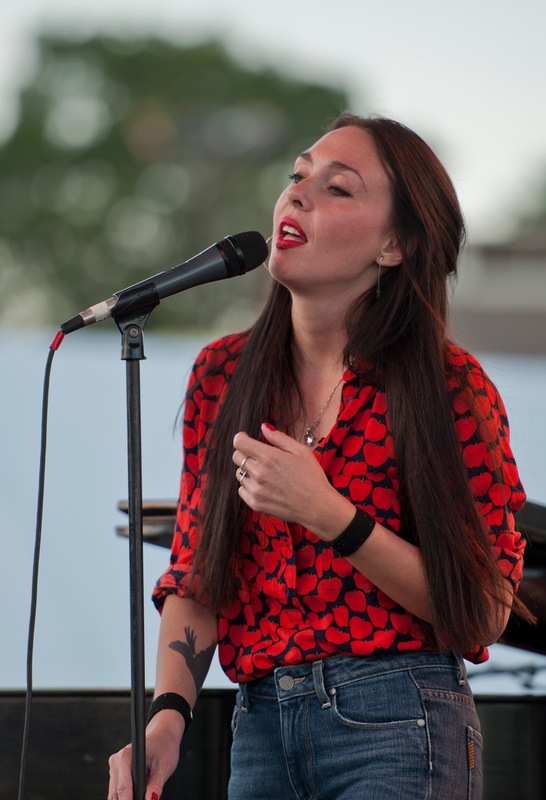 At the time, doctors didn’t know whether she would be able to sing again. Recovery took a year. She had suffered constant pain during the two years since. Doctors found she was allergic to five of the eight metals in the prosthetic. They attempted having her inject the metals into her stomach to reverse her body’s rejection. That failed. Tumors grew under one cheek. Then, last Fall, an auto accident – the other driver ran a stop sign and broadsided her car – left her with two bulging discs, a physical therapy regimen, and more pain. Medications help to control the pain. But nothing helps more than singing. 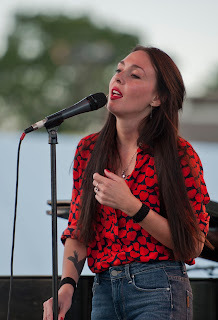 Last July at Take Five, Megan closed the night with her yearning yet rousing interpretation of Wichita Lineman. The house was filled. Everyone stood to applauded. If you don’t know her story, you’d never guess. She doesn’t want the audience to know. Occasionally you might catch her wince, but you don’t realize why. And you don’t know why she might sit on a stool rather than stand. On stage, she catches you with that vivacious smile, and her voice. She owns every song. She owns the room. They want to replace Megan's prosthetic jaw with one built almost entirely of titanium. With this newer, more advanced prosthetic, doctors could work to desensitize her body to just one metal rather than five. She endured this surgery, this replacing her jaw, before. There was one other possibility. New blood tests were taken, using a different method. These tests could return new results. They could show reduced, or no, allergies. Then, a less radical operation might clear the pain. Otherwise, she faces a process which starts with desensitizing, injecting concentrated doses of titanium into her stomach every day. Side effects impact the body and mind. Histamine and serotonin normally control the side effects, but Megan is allergic to those, too. And there’s no guarantee it will work. But assume it does. Next, her face is cut open to remove the existing prosthetic jaw and replace it with the newer all-titanium prosthetic. The cost is more than $100,000. This prosthetic is so new it has not yet completed the FDA approval process. So insurance does not cover it. Afterward, she may not be able to sing for a year. Two weeks into her recovery from removal of the infected plates, results of the blood tests were delivered. Megan is allergic to five of the eight metals in her prosthetic, including titanium. Keeping the current prosthetic means risk and continued pain, maybe more incidents like the one outside The Blue Room. Replacing the prosthetic starts with a trip to Dallas to prepare for daily desensitization injections which may or may not succeed. Then surgery to replace her jaw. I booked talent for this year’s Prairie Village Jazz Festival, and I did it with a couple of conditions. One was that Megan perform in the event, so everyone could have the chance to hear. That was before the infection was discovered. That was before doctors decided she needed surgery a month before the event. They warned her recovery could require up to six weeks. Before the surgery, Megan emailed me. She promised she would make the festival date. But she might need extra makeup to cover bruising from the operation. This performance was critical to her, and to her recovery. Megan’s group was scheduled just ahead of the headliners. Thousands would fill the festival grounds. A month after one surgery, preparing to raise funds for another, debilitating operation, she needed to prove to herself she could do this, that she could take a major stage and perform the music so important to her, before thousands of people. And it was important that, outside of family and some friends, the crowd not know about the pain. If she succeeded this night, she would succeed not from sympathy, but because of the music. A side effect of her surgery was vertigo. She needed to grab someone’s arm to walk the festival grounds, so she wouldn’t fall. Always thin, this day she looked especially frail. At 7 p.m., a musician wrapped his arm around hers and walked Megan onto the stage. 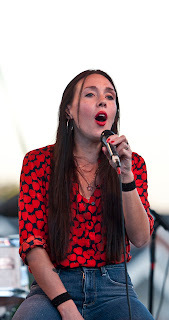 She sat on a stool, surrounded by her pianist, bassist and drummer. And she sang, to thousands of people, for an hour. Megan closed her set with Wichita Lineman. Congratulations to The Kansas City Jazz Orchestra. Their inaugural show in the Kauffman Center’s Helzbergs Hall could have been a flop. Not artistically. Not with Kerry Strayer leading an orchestra of some of the finest musicians playing jazz in 2012. Not just in Kansas City. Anywhere. But – and I say this as someone who managed the orchestra’s business affairs for a few months early last year – it could have been a financial flop, or an audience flop. Because traditionally, this orchestra has drawn barely more than 600 fans to its fall concert. And they had the audacity to play a 1600 seat hall? Traditionally, this orchestra has lost money, oodles of money, on their performances, and they dared to take on the additional expenses of the Kauffman Center? Traditionally, this orchestra shed fans by the dozens, sometimes by the hundreds, when moving a concert away from The Plaza. Plenty of free, covered parking, a nice dinner and a pleasant stroll to Unity on the Plaza for some outstanding traditional jazz was the experience the orchestra’s aging audience craved. The cheap seats at the Plaza locale cost just $25 at the door. At the Kauffman Center, $40 is the lowest price (same day student sales excepted). Add on a service charge and fee for that covered parking, and here the cost to walk in the door more than doubled. More than that, when the orchestra did fill Unity’s thousand-plus seats last year, they did it largely with half price social media promotions. Discount success suggested that outside of a 600 body core, the public found this experience overpriced. And they raised the price? The Kansas City Jazz Orchestra (KCJO) moving into the Kauffman Center’s Helzberg Hall? From a business perspective, this looked to me like a dive off the high board into KC jazz’s belly flop of the year. Enjoy hobnobbing with the big boys while you can, KCJO. Arts audiences and bank accounts are mighty tough to refill. I could not have been proven any more mistaken. The Kansas City Jazz Orchestra drew more than 1000 fans to their inaugural concert at the Kauffman Center. Comp and student tickets aside, the orchestra sold more than 900 seats at $40 or $50 each. To the best of my knowledge, none were filled through social media near-giveaways. I’m not privy to the orchestra’s financials. But an audience that size, paying that much money for a ticket, should have more than covered any additional cost of performing on Kansas City’s premiere concert stage. In fact, it should have closed a large chunk of the orchestra’s traditional gap between ticket sales income and concert cost. And how did they do this? Did they draw a substantial crowd by playing modern jazz? Did they merge jazz and hip-hop? Did they hire a rapper? Nope. They swung the Kauffman. They played a tribute to Count Basie. They featured Kevin Mahogany singing the songs of little Jimmy Rushing. They expertly performed a night of jazz as traditional as it gets. And an audience of over a thousand fans loved it. You can call it an older audience. Fifty-plusers dominate the crowd. 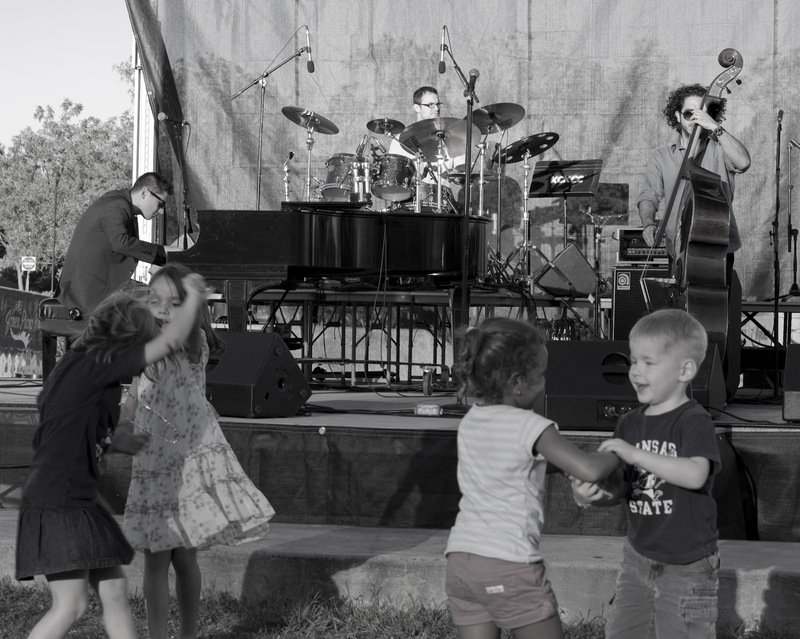 You can argue this group proves big band’s dead end, with sparse youth support in sight. You can say enjoy the moment, because this audience isn’t going to live forever. Some may not make it to the next concert, you can snark. 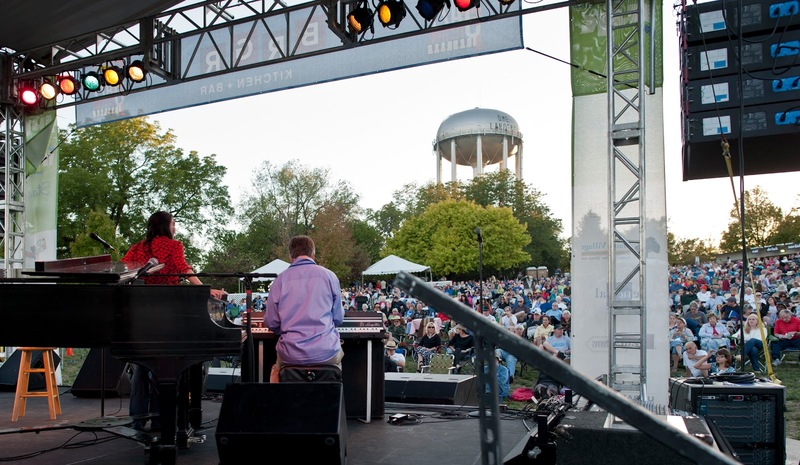 Or you can look at more than 900 people, right here in little ol’ Kansas City, who paid $40 and $50 a ticket, and a service fee, and who probably paid for parking, and say, Here is an audience who will part with good money for jazz. They can afford it. They appreciate a night of traditional sounds. They will pay to hear an outstanding performance of jazz music they enjoy. They exist. They’re not, mostly, our youth. But maybe as our youth ages, and can more easily buy a $50 ticket, and not need that ticket to be something that will bestow more credence Monday morning among their friends, maybe an audience of fifty-plusers will still be here to spend good money on jazz. Because traditional jazz may be a niche but it’s not going away. It’s a niche being constantly rediscovered and freshly performed. 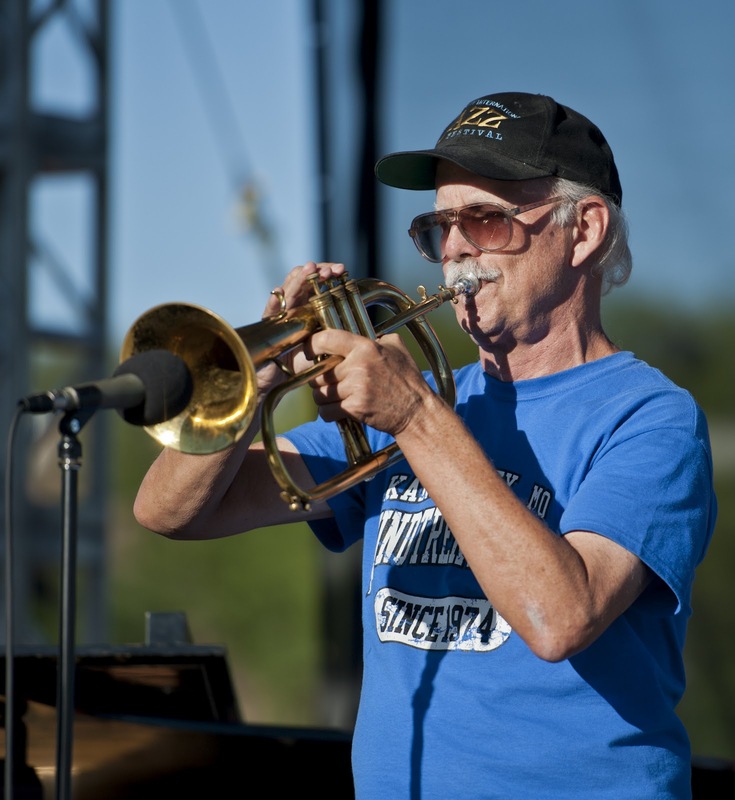 A goal of The Kansas City Jazz Orchestra is to be recognized as the jazz equivalent of the Kansas City Symphony. A few weeks ago, they took a major step forward. 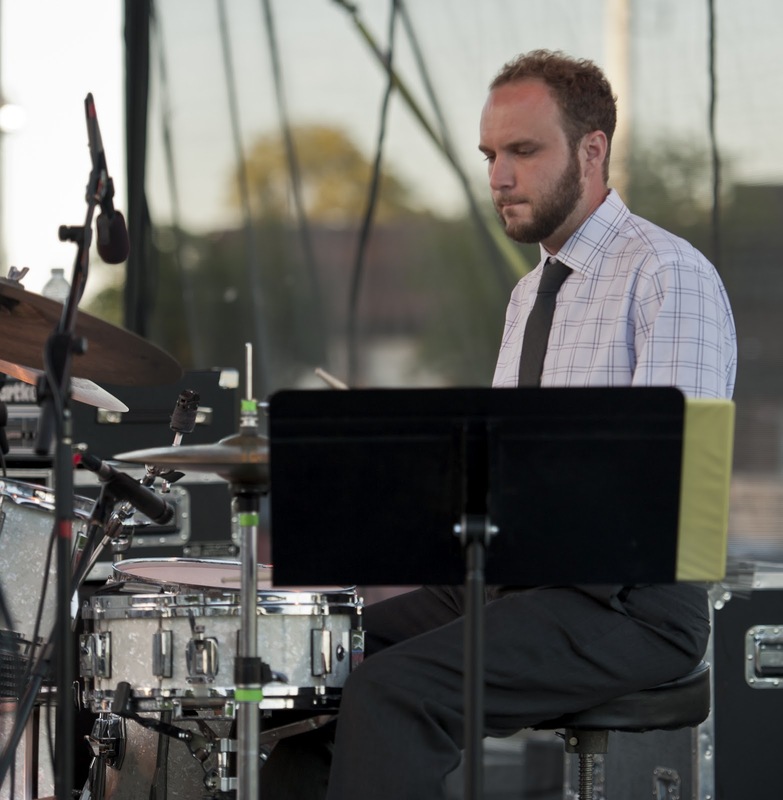 A few weeks ago, The Kansas City Jazz Orchestra proved it belongs on that same stage. A photographer craves the perfect light, the setting sun hitting the stage at a unique angle to illuminate the musicians perfectly, a fifteen minute period when you can capture a once in a lifetime shot. At the 2012 Prairie Village Jazz Festival on September 8, the perfect light hit during the stage change between Megan Birdsall’s set and Bobby Watson’s set. Next year’s festival really needs to time that better. The sun had settled behind the hill at Harmon Park when Bobby Watson took the stage. 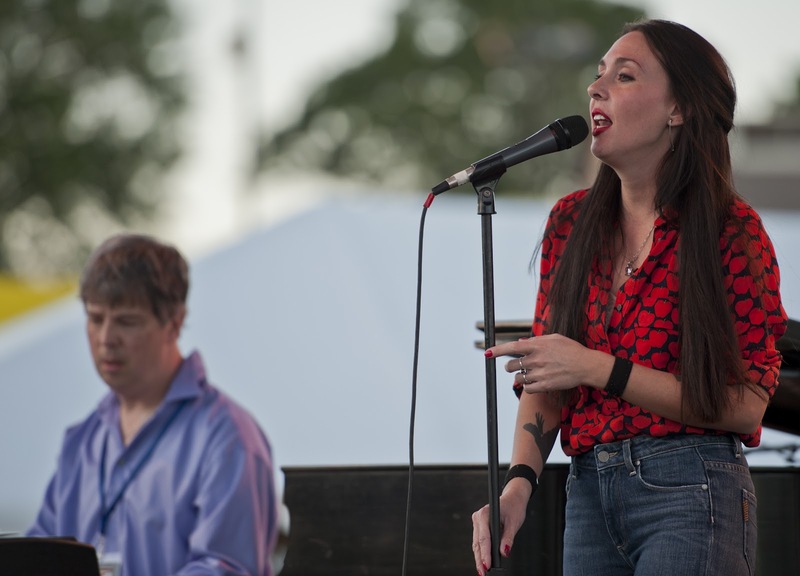 Backed by bassist Curtis Lundy, in from New York, Richard Johnson from Minneapolis on piano and Kansas City’s Michael Warren on drums, Bobby’s alto captured the crowd. Co-headiner Karrin Allyson followed with a wonderful set, accompanied by Los Angeles sax and woodwind master Bob Sheppard, and a trio of current and former Kansas Citians, jazz masters all: Rod Fleeman on guitar, Gerald Spaits on bass and Todd Strait on drums. 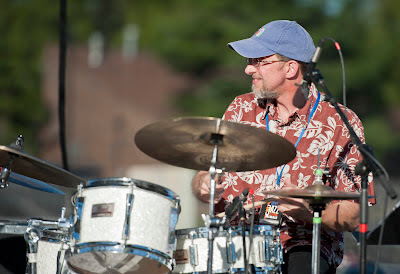 I offered photos of Gerald and Todd last week, from Mike Metheny’s set. Now here’s photos of the rest of the festival headliners. As always, clicking on a shot should open a larger version of it. At night, the audience filled the hill. 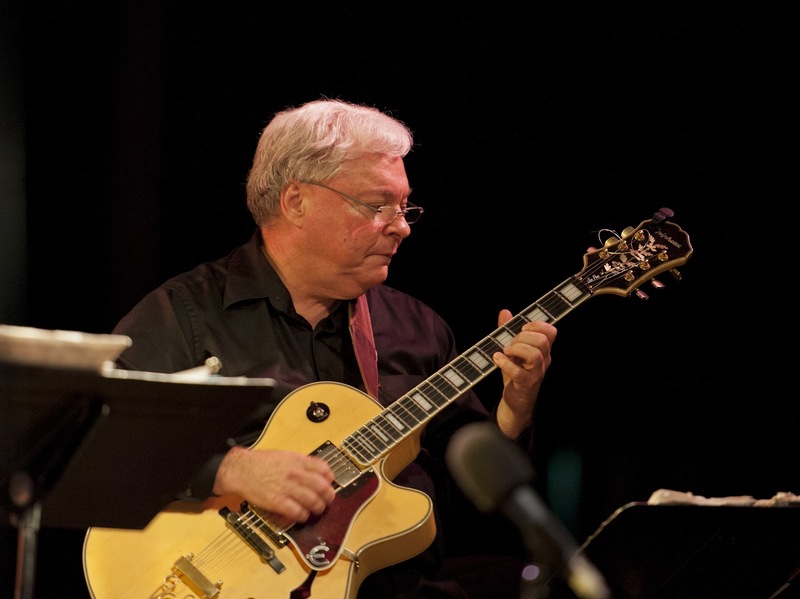 For her final number, Karrin invited bassist Bob Bowman, who has performed with her often, and Bobby Watson to join her group on stage. Left to right: Karrin Allyson, Bob Bowman, Bobby Watson, Bob Sheppard, Rod Fleeman. Thousands of fans. 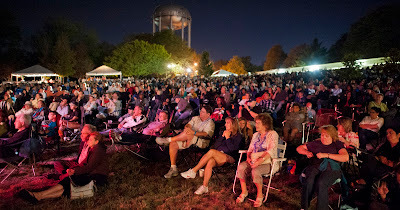 They crowded the hill at Harmon Park on September 8th to enjoy the music, the food, the beer and the wine – but mostly the music – at the third annual Prairie Village Jazz Festival. As one of the organizers of this year’s event, I’ll not feign an unbiased assessment. But I will credit one group above all others for the day’s success: The musicians. Every performance was magnificent. Opening act Diverse, in their new configuration with drummer Brad Williams, mostly played tunes the arriving audience might recognize, but branded by their own contemporary resolve. Rich Wheeler’s quartet spanned their own compositions to the blues. Everyone who heard Mike Metheny understands why I keep telling him he needs to perform locally more often (and he’s starting to do that). And everyone who heard Megan Birdsall heard a vocalist wrap herself around familiar standards and pop classics to make them entirely hers. Crowd size reached its height for headliner Bobby Watson. With longtime bassist Curtis Lundy from New York, pianist Richard Johnson from Minneapolis and KC drummer Michael Warren, Bobby owned Prairie Village. 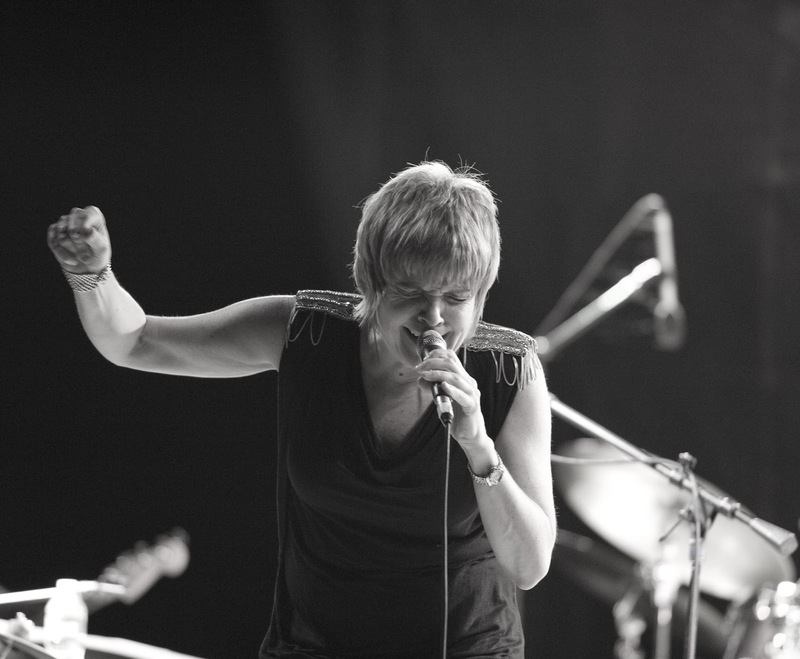 Then the night’s second headliner, Karrin Allyson, backed by extraordinary saxophone and flute player Bob Sheppard from Los Angeles, guitarist Rod Fleeman, bassist Gerald Spaits, and drummer Todd Strait, left no doubts about why she has been nominated five times for the jazz vocal Grammy. I took photos. This week, let’s share shots of the local acts. Next week, we’ll take a look at the headliners’ groups. As always, clicking on a photo should open a larger version of it. Opening act Diverse. 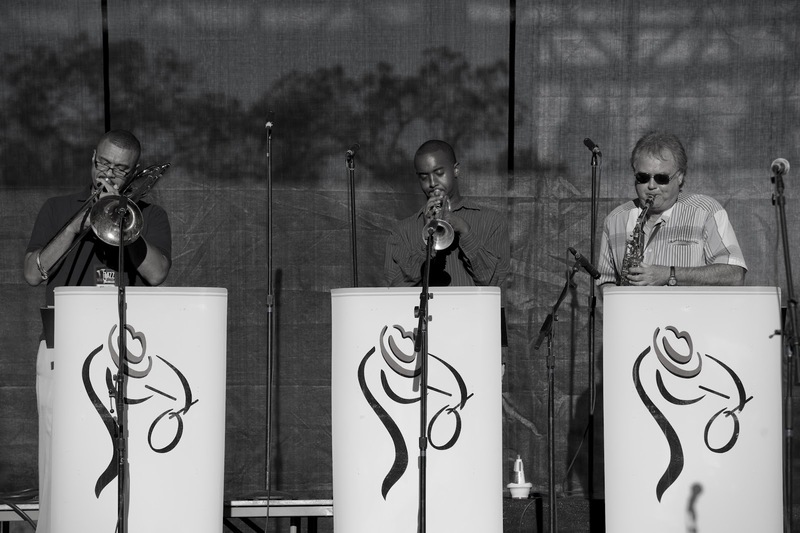 Left to right: Ben Leifer on bass, Hermon Mehari on trumpet, Brad Williams on drums. As Diverse performs, the audience grows. The Rich Wheeler Quartet. Left to right: T.J. Martley on Rhodes and piano, Bill McKemy on bass, Rich Wheeler on tenor saxophone, Sam Wisman on drums. Mike invited Hermon Mehari and Rich Wheeler to join him on his set. Here, Hermon and Mike enjoy Rich's solo. Megan and Wayne. As the sun starts to set, the audience fills the hill. Next week: Bobby Watson and Karrin Allyson. Over two blog posts, I commented on the new panels at the Mutual Musicians Foundation. This week, it’s not about what I think. Anita Dixon, Vice President of the Foundation, argued that I have a forum the Foundation lacks. She’s right. 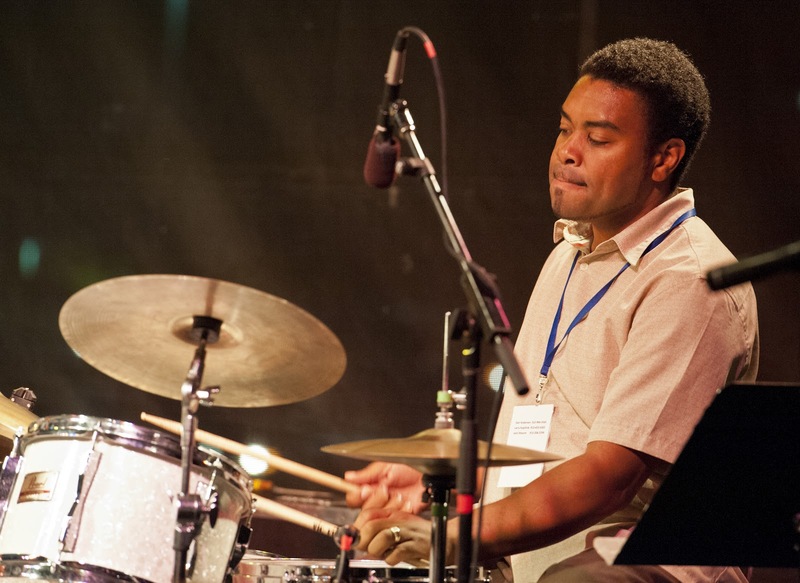 So this week, I turn this blog over to the Mutual Musicians Foundation. Because they deserve the opportunity to present, without intrusion, the reasons for the changes at Kansas City’s jazz landmark. 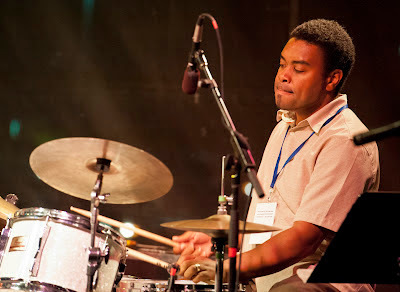 The Mutual Musicians Foundation (formerly known as Local 627 or the “colored” musicians union) has been the heartbeat of Kansas City’s jazz history for almost a century. Recognized as one of the four pillars of the creation of jazz in America, the building in which it has its storied past has survived. Remembering and honoring our past and those genius minds that created Kansas City’s reason for being on the map internationally is a fact we love to tell over and over again; lest others forget how important it really is. Remembering “what was” is a huge part of securing the future. However, everything must change. Recently, through a generous fund given to the MMF by Congressman Emanuel Cleaver II, the board of directors decided we would expand the vision for the future into educational panels and an archival film project that would include the history of the neighborhood that nurtured the music and the minds of Charlie Parker, Mary Lou Williams and all of the names aficionados of jazz like to drop but refuse to acknowledge that had it been another time in history, those same people would have had an address next door, down the street or behind the MMF. Being volunteer driven, we do not have docents or people who can be at the MMF during the day to speak on the history and the educational panels tell a complete story for those wishing to know more of the history. The archival film Still Jammin’ takes the history of Local 627 and reminds the viewer of the circumstances and situations that made Kansas City jazz and its artists so great. We hear we have taken the “spirit” away by replacing photographs with panels, but if we were to be historically accurate, the pictures (that now are a part of the musical experience upstairs) were photocopied and not the originals. At one time, originally signed photographs were stuck on the cork based walls (that were orange colored!) with push pins and tape! These photocopies were also put into frames and attached to walls that had undergone renovation in 1983 and are not a part of the original work done on the building in the 1930’s renovation from apartment building to union hall. So much for interrupting the “spirit” of Basie and the others. This total project has been almost three years coming to fruition. That includes the panels and the film. Now, let one take those years, compound them with much infighting (already so well-known and we will not dignify telling it again), and board personnel changes (over seven positions vacated and replaced in less than one year in 2010! ), couple that with costs for film crews, meetings, travel, scripts, equipment, research and a plethora of other things it takes to put out a quality project, and the money gifted to the MMF was stretched to the limit. If this had been Ken Burns producing, this city would have thought nothing of a couple of million dollars just to engage him on the subject! We were very lucky to get Rodney Thompson and Stinson McClendon, two African American film makers in KC who have chronicled the history of KC jazz through names such as Andy Kirk, Big Joe Turner, Jay McShann, Claude “Fiddler” Williams and others they have captured in their personal film archives that enhanced the story of Still Jammin’ for us. Eisterhold and Associates, who work on major museum and archives projects surrounding cultural history in America, were engaged for far less than they usually charge but still treated the project as a priority and produced exactly what we requested. Anyone who would say that “too much was spent” has no idea the sacrifices and time that was spent to bring this to KC and the American public for consumption. If we had not had the restrictions on the usage of the money dictated by the previous administration, we would have put the money into the building’s much needed repairs. There are stipulations put on many funded projects such as these (if you have never written a government grant or a foundation grant, this is your time to shut up!) and this one was to be used strictly for the project as outlined. It was used for that and nothing more. So much for what you would have done with the money. But back to why we are responding to KCJazzLark: the future. We are witnessing a renaissance in the 18th and Vine district in the renovation of the old Rochester Hotel and the homes across the street from the MMF. It is as if the neighborhood is reminding us that once again, we will strive to live amidst the music. We have spoken to the City Manager and those at JDRC and every attempt will be made to populate those apartments and homes with musicians and artists. Imagine a new village of people who respect what we are doing and participate in a whole new generation learning (and living around) the place that started it all internationally. We are planning on being the centerpiece of an international plan for educating the world on our part in the history of jazz, starting a 24 hour radio station and creating a synergistic, tourism program aimed at jobs, youth music education and the culture of the African American experience in Kansas City. More on this if you attend our workshop Monday, September 10, 2012. Last but not least, thank you KCJazzLark for equal time. So many of the so-called bloggers in the city (and in America period) are just interested in hearing themselves and there are few that qualify as journalists. You have taken the big leap from blogger to journalist and for this we of the MMF are grateful. There are always three sides to every story: yours, mine and the truth. Our plans for the MMF will certainly prove to be a truth that will benefit all concerned. Bass, drums, guitar and accordion. How’s that for a jazz quartet? I wasn’t getting out for jazz when Malachy Papers was performing around town. So I didn’t know who Bill McKemy was until Ben Leifer left town (he’s since returned). That was when Mark Lowrey and Shay Estes chose Bill as Ben’s replacement on bass in their quartet. That’s when I discovered there’s at least one more terrific bassist in Kansas City than I had previously known. Mark told me at the time that they had chosen Bill in part for his compositional prowess. 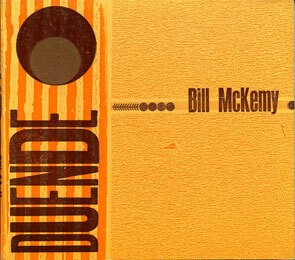 That prowess is on full display on Duende, Bill’s 2002 CD which is being rereleased. Duende, Google Translate tells me, is Spanish for elf. I’m not certain how that applies, except that a couple of of the spontaneous compositions (that’s what the liner notes call them) are elfin in size. But nothing on this CD is elfin in quality. Jeffrey Ruckma’s accordion may seem on the surface an unusual choice, but the sound fits the Spanish flavor of this music perfectly. 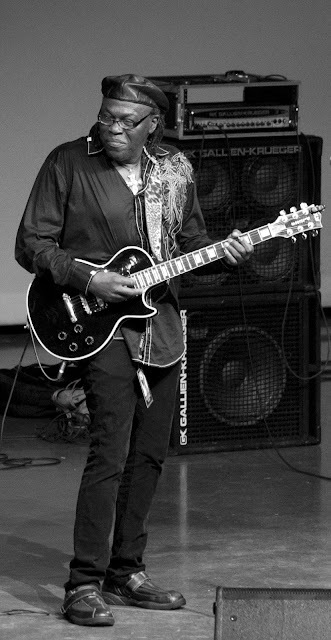 Brian Baggett’s electric guitar at times at times reaches for the musical edge and seems to leave apparent Spanish influences behind. But Bill’s bass and Ryan Bennett’s drums keep the proceedings grounded. 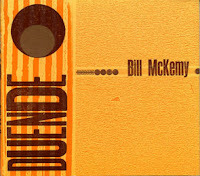 Duende will be rereleased at a special show at Take Five Coffee + Bar on September 22. You do not want to miss either the CD or the performance. 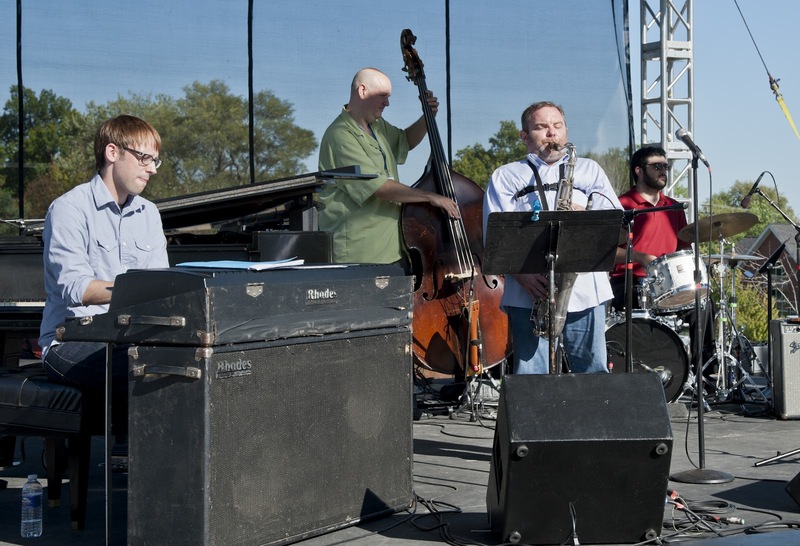 But before then, this Saturday as a matter of fact, you do not want to miss the Prairie Village Jazz Festival. I make no secret of the fact that I booked the talent for the fest this year. Nor do I make a secret of the fact that I’m pleased with how the schedule turned out. This Saturday, September 8th, at Harmon Park at 77th and Mission Road (adjacent to Prairie Village City Hall and Shawnee Mission East High School), you can hear a sampling of some of the best jazz musicians in Kansas City today, plus some of the best jazz to spring from this town. Music starts at 3 p.m. with Diverse. It continues with the Rich Wheeler Quartet at 4:20. 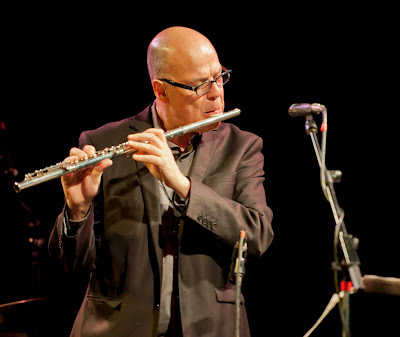 At 5:40 you can hear the all-too-rarely heard Mike Metheny. 7:00 brings incomparable vocalist Megan Birdsall to the stage. 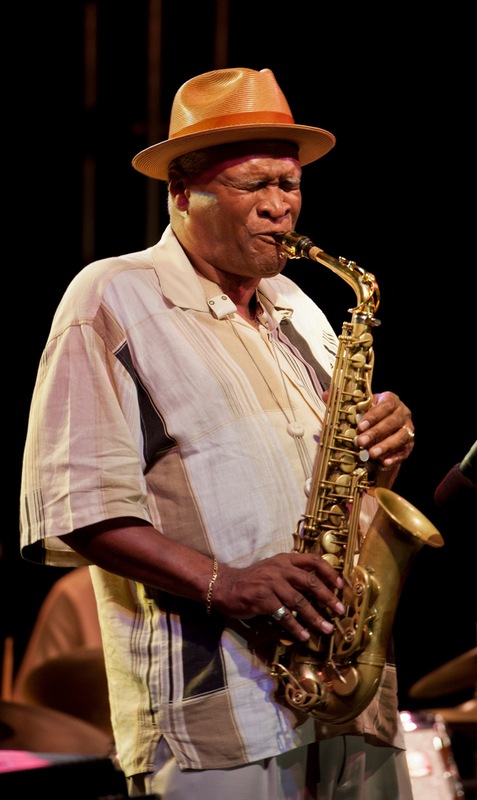 At 8:20, hear not just the best saxophonist in KC, but arguably the best saxophonist anywhere: Bobby Watson. The festival wraps up with jazz star Karrin Allyson’s first performance in the area since last Thanksgiving, starting at 9:40. I took photos at the first Prairie Village Jazz Festival two years ago. So, to whet your festive appetite further, let’s take a look at a few of those shots not previously posted. Two years ago, David Basse's group was among the local acts. This year, David will emcee the fest. 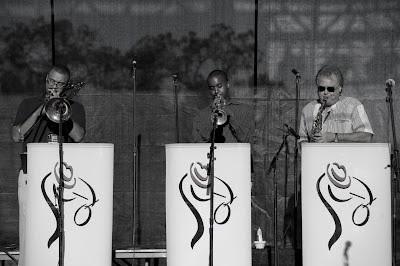 Basse's 2010 horn section included Jason Goudeau on trombone, Hermon Mehari on trumpet and Kim Park on sax. This year, Hermon's group Diverse opens the festival. ...And the crowds danced (I predict dancing again this year). 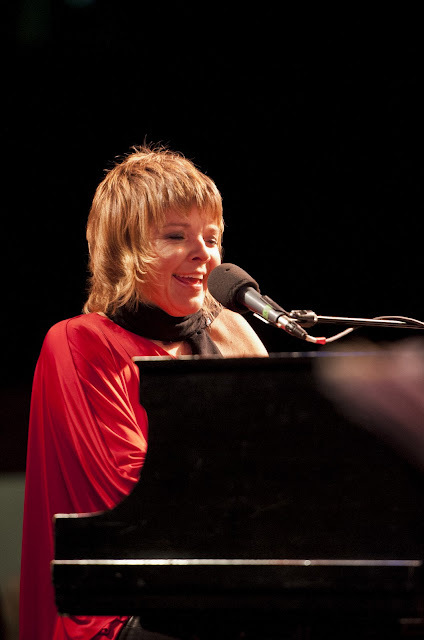 Two years ago, Karrin Allyson performed a few songs with The Kansas City Jazz Orchestra. This year, she headlines a full set with her own band.